Many people do not realize that the Lake George area, known for its resorts and hotels, is also home to so many bed and breakfasts. Staying at a bed and breakfast or inn is definitely a different type of experience than reserving a room at a hotel or even a resort. You'll get to enjoy a more personable experience in an intimate setting, which is perfect if you're looking for a romantic getaway! And, bed and breakfasts have really evolved over the years. If you're expecting to simply stay in someone's home and have them feed you breakfast, think again. Many bed and breakfasts offer truly luxurious amenities ranging from fireplaces to balconies, and they're often located in gorgeous settings with lush gardens and lake views, especially if you book in the Lake George region. So if you're at a point in your life where you'd like to embark on a mini vacation with your spouse or partner to recharge, why not choose a romantic bed and breakfast? Consider one of these charming bed and breakfasts or inns right near Lake George that you might not have heard about. Relax and rejuvenate, or take advantage of recreational opportunities the area is known for, like hiking - either way, you'll experience something new together. Golf enthusiasts will definitely want to consider a stay at Top of the World Golf Resort - Bed and Breakfast, located right in Lake George. You'll stay in a charming room and enjoy a rustic country breakfast before heading out on their challenging golf course - and you won't believe the views from the course! You'll get to see the mountains of Vermont as well as the incredible Lake George region. Some say Top of the World is the best kept secret in the Adirondacks. You and your significant other will be able to enjoy the common areas of the resort, walk around the gardens together, or simply relax on the Adirondack chairs on the terrace. Whatever you choose to do you'll be doing it together, surrounded by the beauty of Lake George. And, when you're ready for dinner, no look further than the fresh and local fare served up at their own restaurant. Found in Warrensburg, Seasons Bed & Breakfast aims to provide its guests with a friendly environment, comfortable accommodations, and an overall relaxing experience. 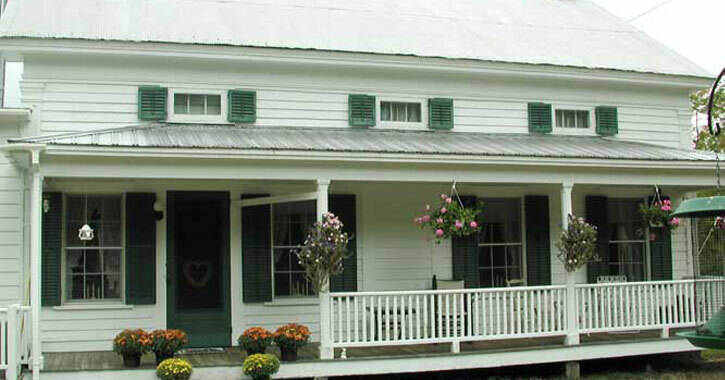 This bed and breakfast was built in 1830 and has expanded and modernized as needed over the years. Although you'll definitely experience an Adirondack feel when you stay here, the decor has been accumulated over the years from travels throughout the world, giving the place a really unique charm. 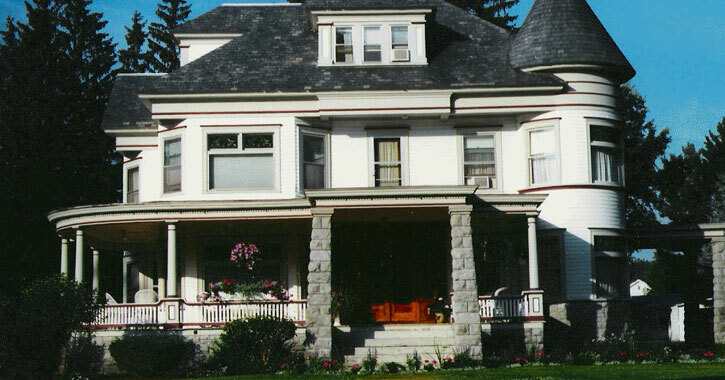 Seasons Bed & Breakfast is situated at the top of a small hill away from the street surrounded by trees. You can walk around the beautifully landscaped grounds, relax on the wraparound porch, and really take in nature. Also located close to Lake George in Warrensburg, this bed and breakfast offers an award-winning, five-course gourmet breakfast. The meal is served by candlelight in a picturesque dining room. 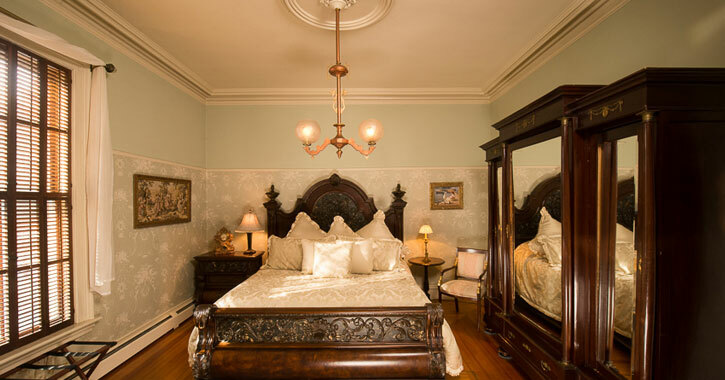 Each of the bedchambers at Cornerstone Victorian Bed & Breakfast includes a private bath and each is uniquely decorated with antiques. Some of the rooms include a two-person whirlpool and a fireplace as well! You'll feel as if you've stepped into another world the moment you walk in the front door with large rooms, Victorian-style furniture, and an atmosphere that exudes a simpler time. 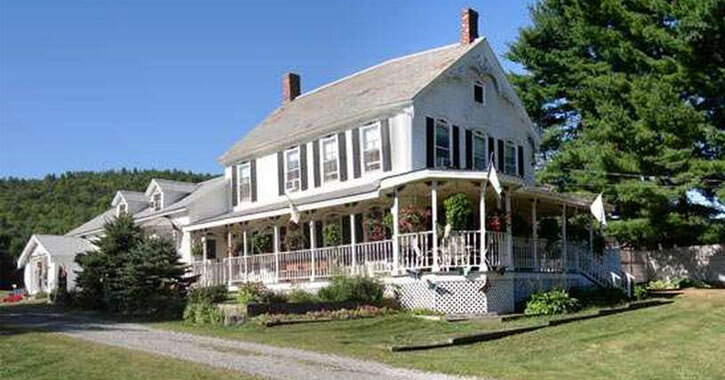 The Boathouse Bed & Breakfast in Bolton Landing offers a truly lavish bed and breakfast experience. You and your sweetie can get ready for fireplaces, lakeside balconies, king size beds, whirlpool tubs, and glass enclosed showers. 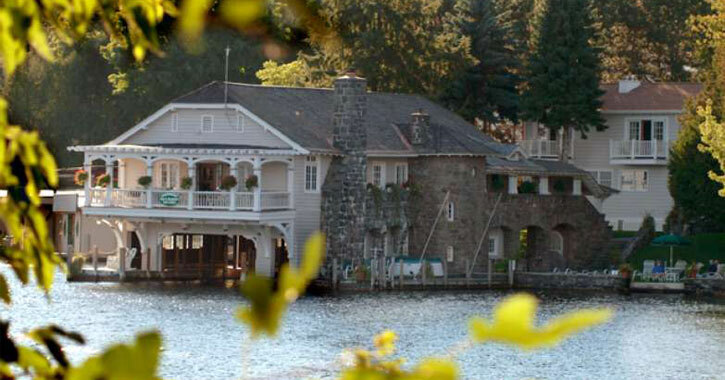 And did we mention this unique bed and breakfast is the only one located directly on Lake George? You'll be in close proximity to all the recreational opportunities on the lake, just minutes from the village, and you'll also be right near the breathtaking Sagamore Resort, where you can take advantage of their golf course, indoor pool, fitness center, and more. Located close to Lake George in Warrensburg, Alynn's Butterfly Inn exudes romance and rustic Adirondack beauty, as it sits on 176 acres with Moon Mountain behind the property. You and your loved one can choose between three guestrooms with Jacuzzi tubs and fireplaces, and then enjoy a full breakfast in the morning. In fact, this inn is so romantic, they even offer a complete Romance Weekend Package. Opt for this deal and you'll get a bouquet of fresh flowers, decadent chocolate, and a chilled bottle of champagne upon your arrival. You'll also receive a $50 dining gift certificate to a local restaurant! 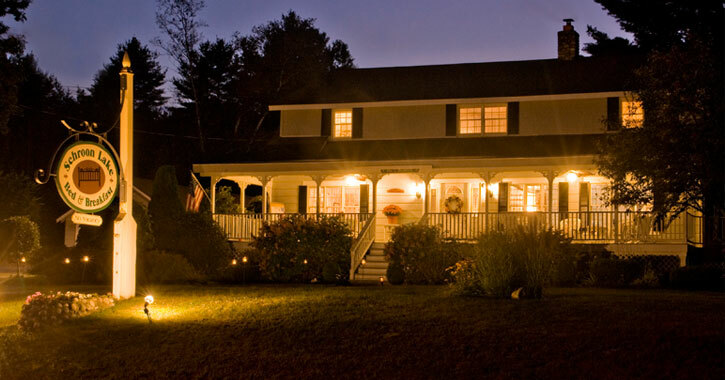 The historic Lamplight Inn Bed & Breakfast can be found in Lake Luzerne, a quaint town just 20 minutes from Lake George. The Lamplight Inn consists of two buildings, the 1890 Victorian and the Carriage House, each with its own charms and personality. And, they both include suites with Jacuzzis and fireplaces! When you're not snuggling up with your sweetie by the fire, you might sit together on the wraparound porch or walk around the spacious property and check out the perennial garden. A stay at Lamplight Inn also includes an incredible breakfast with a number of choices, and they always offer a delectable special with the meal, like Belgian waffles or French toast. 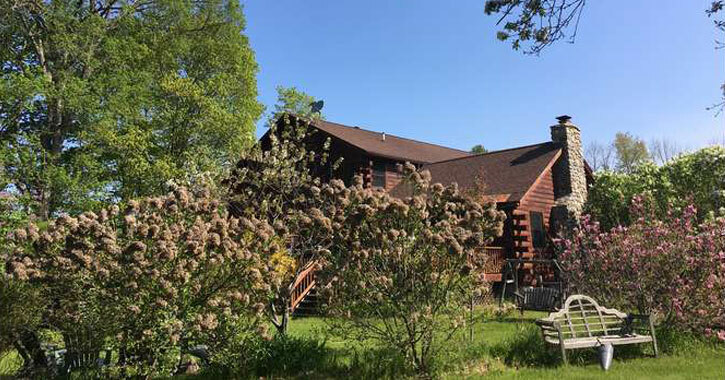 If you and your sweetie love nature and the Adirondacks, The Glen Lodge Bed & Breakfast in Warrensburg could also be a fantastic choice for a romantic getaway. This bed and breakfast was built in the style of an Adirondack lodge, with Adirondack-styled cedar wood furniture, and a complete Adirondack experience. Walking and hiking opportunities are available nearby, and you'll be close to the Hudson River. If you're visiting in the winter, you might enjoy cross-country skiing trails or downhill skiing at Gore Mountain. 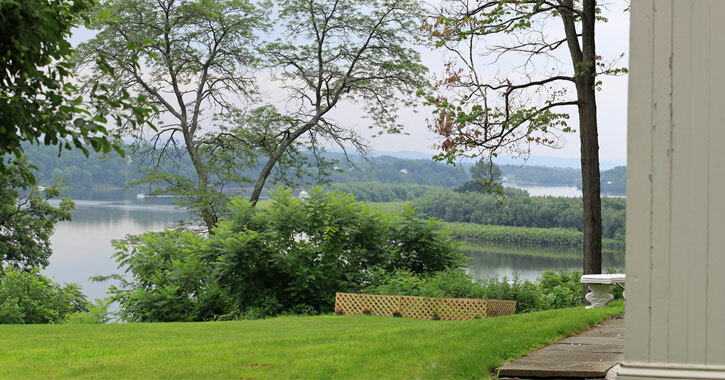 The exquisite Fern Lodge is located in Chestertown right on Friends Lake. While Lake George is of course pristine and beautiful, you're likely to have a much more intimate experience with your significant other on the lesser-known Friends Lake. 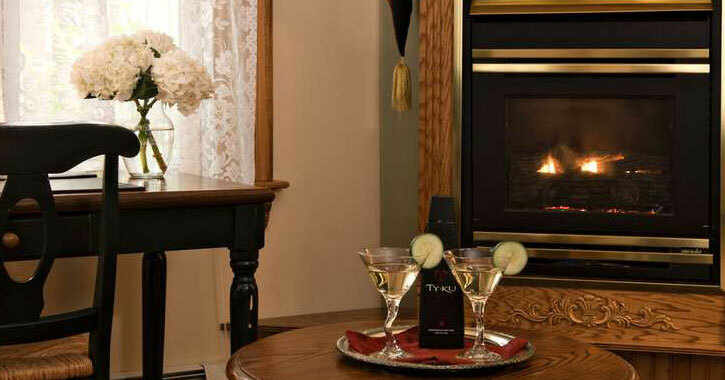 Get away from it all with your loved one at this incredible bed and breakfast with stone fireplaces, king size beds, and a multi-course breakfast. If you're staying at Fern Lodge for an anniversary, contact them ahead of time to make the experience even more memorable - they can arrange flowers according to your budget or have a special bottle of champagne ready in your room at your arrival. If you'd really like to escape from it all with your significant other Adirondack Pines Bed & Breakfast might be an excellent choice. Located about 30 minutes from Lake George in Adirondack, this bed and breakfast is a farmhouse with three options of rooms; they also have a three-bedroom country cabin. 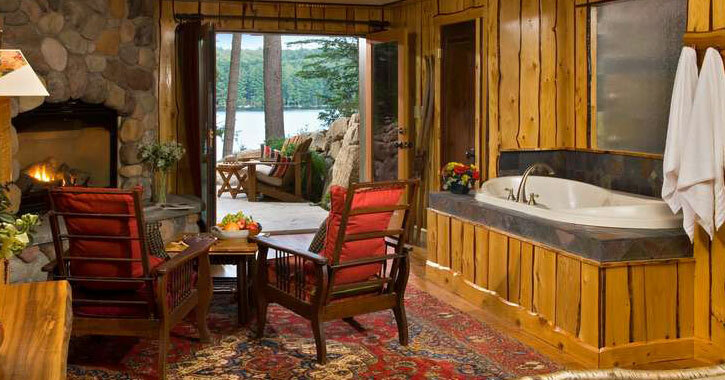 As the name and location suggest, you can expect a real Adirondack getaway with this option. You'll be just minutes from the beach and a public boat launch in Schroon Lake, close to Pharaoh Mountain for prime hiking opportunities, and more. And, you can even enjoy an on-site massage for a small fee! Just over 30 minutes north of Lake George is the beautiful Schroon Lake area. 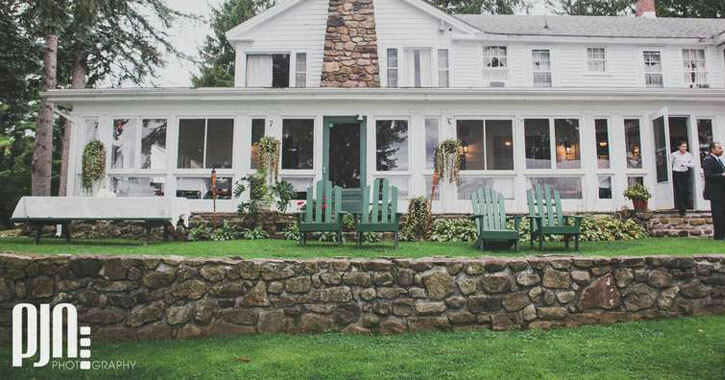 The Schroon Lake Bed & Breakfast is easy to get to, right off I-87, but you'll feel like you've escaped into an amazing Adirondack getaway. Each morning begins with a homemade, artisan breakfast created from local ingredients and served in the Victorian dining room. From there, you can feel free to explore the nearby Pharaoh Wilderness area, Paradox Lake area, and of course, Schroon Lake itself. Adventurous couples will love this bed and breakfast for its easy access to outdoor recreation like swimming, fishing, and boating. And, Schroon Lake Bed & Breakfast prides itself on being a year-round destination, so feel free to book a stay in the winter and then spend your time exploring skiing, snowmobiling, ice skating, or ice fishing. If you're a regular at the farmers market or have ever been curious about life in the country this is the bed and breakfast for you! 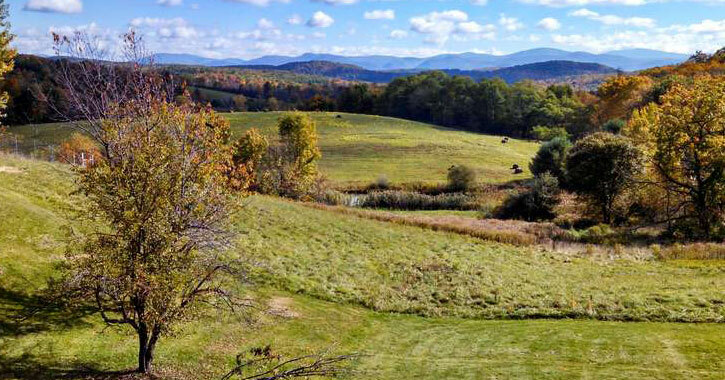 Located in Argyle, about 40 minutes from Lake George, you'll find Lant Hill Farm Bed & Breakfast tucked away among rolling fields. Lant Hill allows their guests to partake in the farm activities like gathering berries for jam or harvesting potatoes. When it's time for breakfast you will not be disappointed! Dig into a farm-fresh spread with eggs, maple syrup harvested right on their property, and more treats. They can also accommodate a gluten-free or vegetarian diet. The elegant and luxurious Mansion Inn of Saratoga can be found in Rock City Falls, just seven miles outside Saratoga, and just under 45 minutes from Lake George. You can expect gardens, ponds, and centuries-old tiger-tail pine trees on the outside, and high ceilings, detailed molding, and original gas lighting fixtures on the inside. Breakfast is served in either the elegant formal dining room or outside on the 60-foot Victorian porch that overlooks the gardens and a fountain. Just imagine sipping your coffee or tea as you relax outside with your significant other - it's probably a far leap from the usual rushed mornings together as you both hurry to get to work! 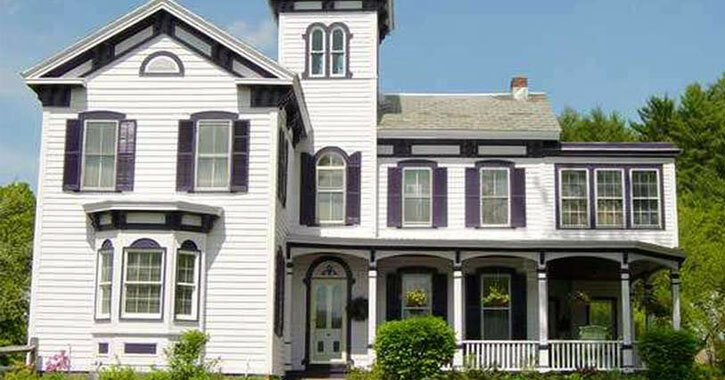 What could be more romantic than staying at a historic waterfront bed and breakfast? That's what you'll get when you opt to stay at Oakcliff Bed and Breakfast, which has been on the National Historic Registry since 1998 and offers stunning views of the Mohawk River. This bed and breakfast is about 45 minutes south of Lake George in Halfmoon, which is just 15 minutes from all the action going on in Saratoga. When you stay at Oakcliff Bed and Breakfast, you can look forward to fine Italian Egyptian cotton linens and down pillows, and a hearty breakfast in the dining room with hand-selected pastries from a local bakery. But that's not all! Each room has its own Victorian marble bathroom, one of which has a Jacuzzi that can be reserved on demand at no extra cost.